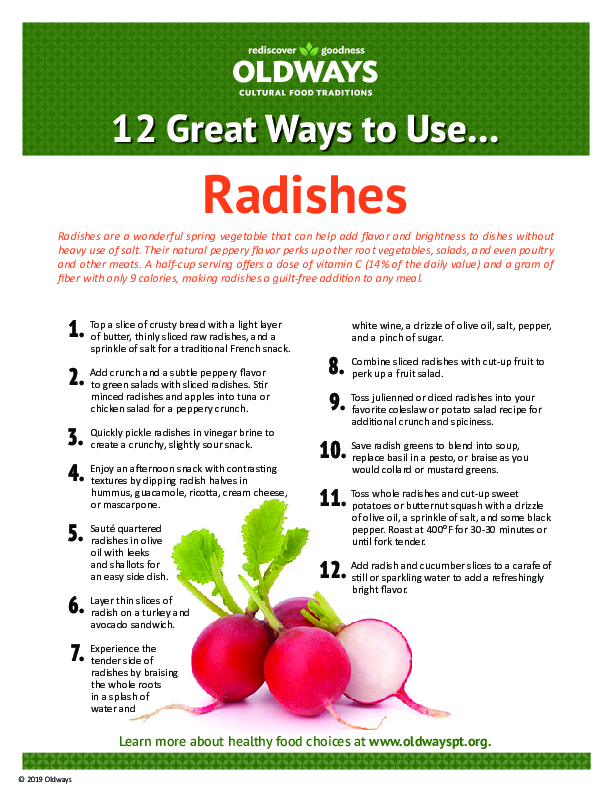 Radishes add texture and brightness to all kinds of dishes. With only 9 calories in a half-cup serving of sliced radishes, they are an easy, healthy way to season food without heavy use of salt. Explore our collection of one-page resources designed to help cooks of all abilities discover new and easy ways to use popular Mediterranean Diet ingredients, such as avocado, Greek yogurt, hummus, eggplant, and more.